Last weekend I was fortunate enough to be able to cook in my friends’ kitchen with a beautiful view. 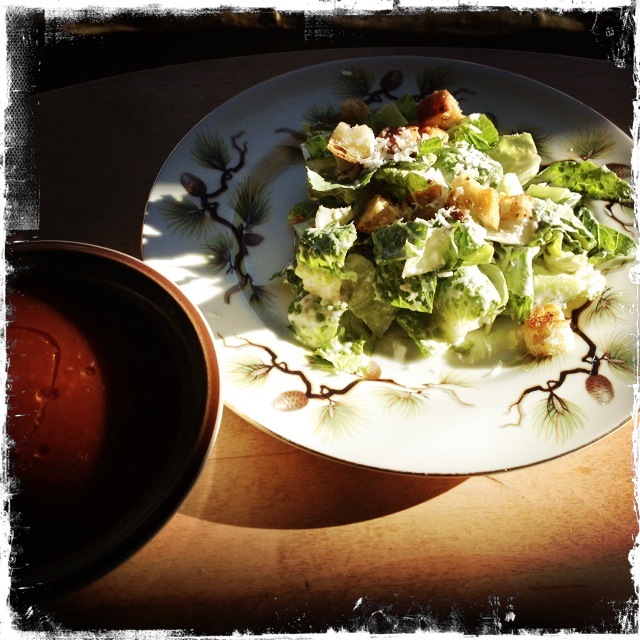 As we had all been overindulging throughout the weekend I decided to make us this healthier version of a Caesar Salad alongside tomato soup. 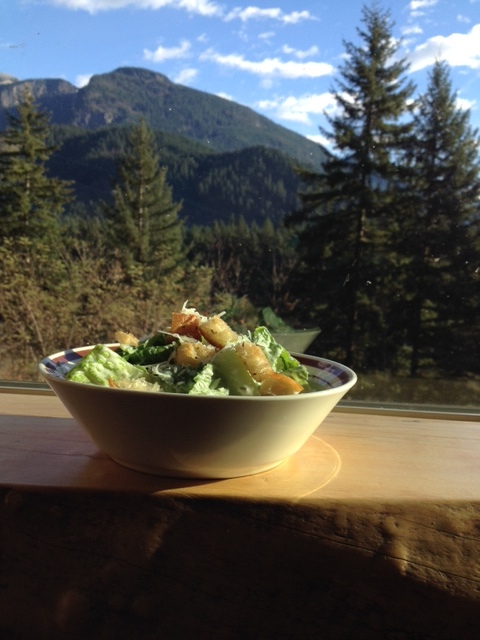 It was delicious with the croutons, but it would be good without them too. I found this recipe on Jamie Oliver’s website. To make the croutons, drizzle a little olive oil in a frying pan and let it heat on medium-high. Add the bread cubes and toss until they are lightly coated in olive oil. Add the garlic, sage, salt and pepper, and stir to combine. Toss from time to time, until the cubes are browned and crispy. Combine all the ingredients for the salad dressing. Chop the romaine, then toss with the dressing just before serving. Don’t use all the dressing to start with, as it might be too much; just add more if needed. I like to add an extra sprinkle of lemon juice to mine. 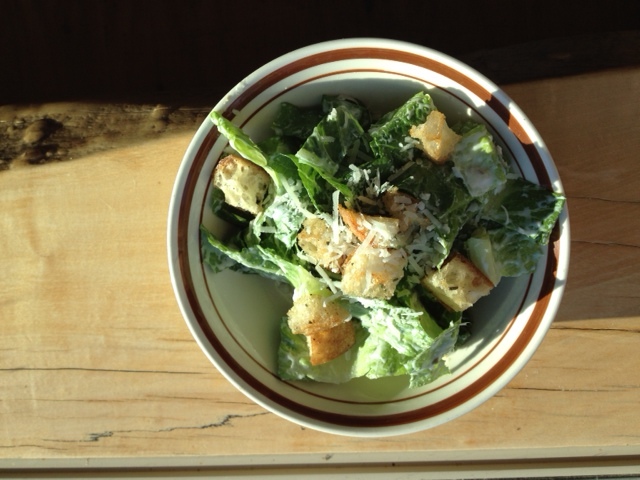 Top with the croutons and serve.